Published: May 11, 2014 at 02:09 p.m. 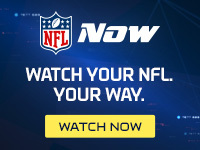 Updated: May 11, 2014 at 08:53 p.m.
Starved for playmakers on offense, the New York Jets ended up selecting three wide receivers and a tight end in the 2014 NFL Draft. It was the wide receiver they targeted in the second round who got away. Per NFL Media Insider Ian Rapoport, the Jets tried "furiously" to trade up with the Buccaneers at No. 38 for Marquise Lee before the Jaguars grabbed the USC star one pick later. On Saturday's draft wrap-up edition of the "Around The League Podcast," we made the point that Lee might have gone off the board higher than No. 4 overall pick Sammy Watkins had the two wide receivers entered the draft in 2013. Lee would have given the Jets the explosive run-after-catch ability missing from their aerial attack.